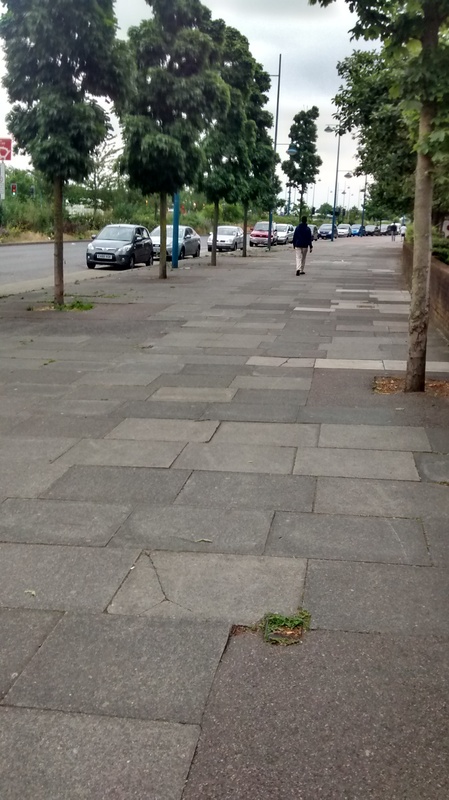 Greenwich council have successfully bid for funding from Transport for London to improve the Plumstead Road corridor. 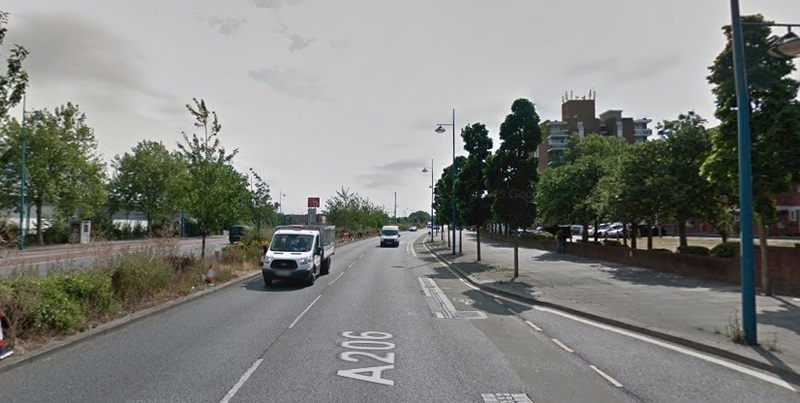 One main improvement will be 500 metres of bus lane re-installed on the westbound section of Plumstead Road, linking Plumstead and Woolwich. The funding success is good work by Greenwich Council, with huge scope for improvements for all users along this route. As TfL are involved, hopefully they take their knowledge of improved public realm to remove much of the guard-railing and excess street clutter. The belated move to truly segregated cycle lanes should also ensure welcome changes. Even a cheaper transitional painted lane on the very wide paving, as often seen in the Netherlands, would be much better than dicing with buses on the road. Woolwich Crossrail station will be at the western end of these works, and if cycling and walking became more pleasant this would clearly lessen pressures on the road network. However, what is amusing is that a continuous bus lane existed until around 10 years ago. Millions were spent changing the layout and huge delays occurred (my daily bus journey tripled in length) as the well functioning road was altered. It finally opened, was a disaster and the new road layout abandoned after just one day. A huge sum was then spent trying to restore the old layout, but it culminated in losing 500m of westbound bus lane. A cycle lane was installed and kept, but it was non-segregated, and instead of placing it on the wide paving alongside the road, cyclists had to deal with passing buses constantly entering and exiting lay-bys. In addition, cars have parked on the cycle lane with little enforcement over many years. Actually, you could say cobbles in the road was a form of segregation, but as buses had to traverse these to stop it suited nobody. And when the road was dug up, tarmac was laid so it became an unsightly mess. Though this is better, I’d still prefer the one metre wide central reservation to be removed, and the space gained used to shift lanes right, with space gained on the left used for a cycle lane, if at all possible. As mentioned, one other major issue with the Plumstead Road route is poor parking and little council enforcement. The photo to the left was taken recently. About 15 cars were parked along the road blocking the cycle lane. This may have been at a quiet time, but parking is regularly seen. The area by the shops beside Plumstead station is also a popular site for crap parking. Blocking the cycle lane and double parking are often seen, also making it difficult for buses to park beside the kerb. Improvements from £1.2m wont be as transformative as hoped without dealing with these issues. the very cramped Plumstead High Street, with solid queues stretching back a couple of miles to Abbey Wood the result. Unless cars are banned on the High Street it’s a no-hoper, and good luck with that. Though beyond the scope of the work, but related to congestion in the area, parking on the High Street is another problem that the council needs to look at. These cars on the left prevented buses passing each other last week. By the time my bus set off a large queue had built up. I was heading for a train, and on days where trains are not very frequent, missing the train is the difference between someone using public transport or using a car. Oh, and Greenwich council – please sort out the public realm horror show that is Plumstead station. It may not be within the scope of this project, but even some very modest work would help. A weekends work removing some excess street clutter, painting what remains in a uniform colour and installing some greenery would be a big step forwards. And the cost would be tiny. It would be a welcome stop-gap until real improvements could occur, which could possibly not occur until 2024. 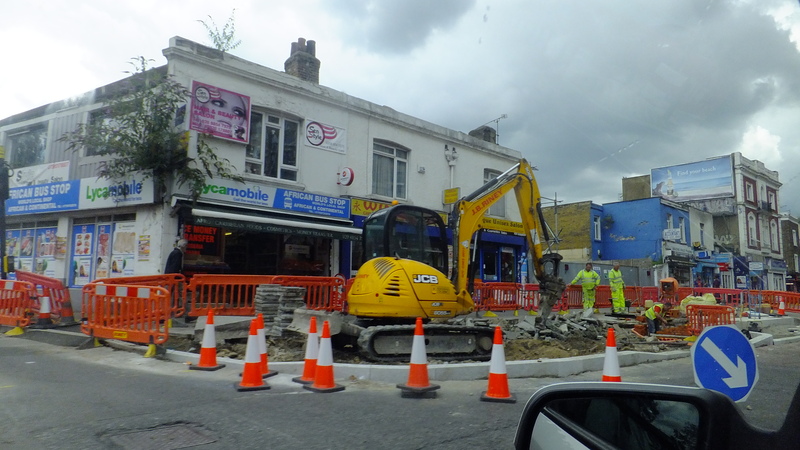 Finally, why is the paving being replaced at the junction of Burrage Road and Plumstead Road? The previous expensive stretch was only installed about 5 years ago, though was rarely cleaned so looked pretty filthy. Was some utility work carried out? Also, are Greenwich council doing enough with unsafe buildings, and ensuring owners and landlords are maintaining to a decent standard? The building behind looks in a bad way, and this comes after its neighbour was allowed to crumble away and become a safety hazard. There is the Spray Street masterplan for this area, but that could be years off and crumbling buildings long pre-date that. 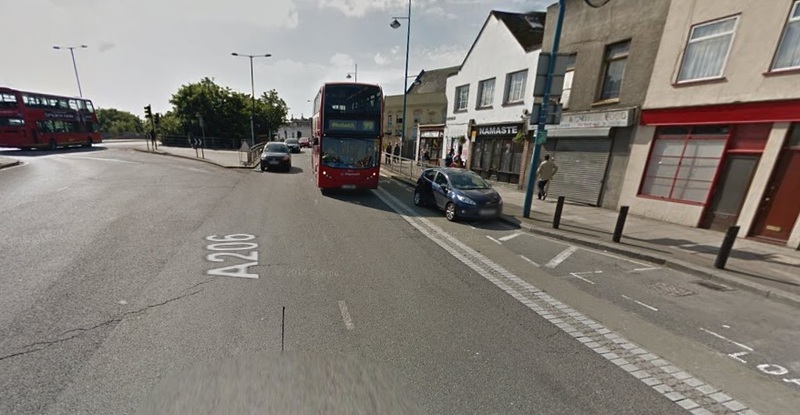 £400k in additional funds for Plumstead Road is also being sought as part of the ‘Mayor’s air quality fund’, with a decision expected in November/December of this year. Hopefully this will include getting rid of the rubbish tip under the arches next to Plumstead Station next to the McDonalds and the PO. It is really intimidating to walk down. I didn’t realise homeless people lived there. Given the recent murder under there then this is even more grounds for sorting this area out.